Congratulations to our Valedictorians and Salutatorians! Candace Ballard received the February Governing Board Recognition Award. 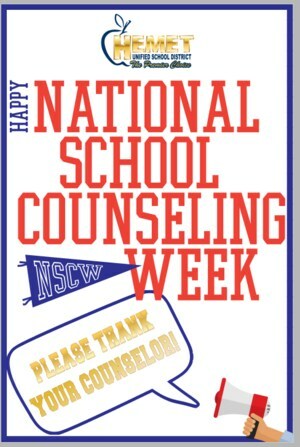 HUSD is recognizing its amazing counselors during National School Counselor Week! You are invited to HUSD's Family Festival on February 2nd from 5:00-8:00 p.m. at the Sante Fe Education Center! An employee from Elementary, Middle, High, and one of our Alternative sites are being recognized for Faculty Focus Friday! Two Tahquitz students used their education to save the lives of two children. 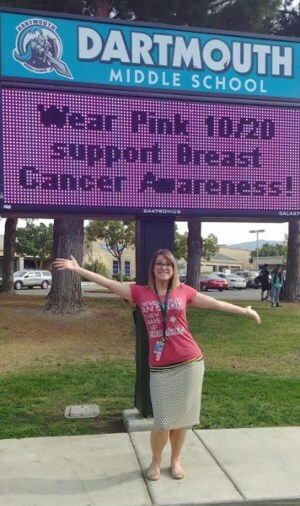 Aileen Luke will represent Hemet Unified in the County Spelling Bee. Join us at the Hemet Public Library on February 15th from 4:00-5:30 p.m. for the 3rd Annual STEM Expo. One teacher took his sadness over a tragic event and used it to help spread kindness throughout the community. Chelsey Hallberg, Counselor and Rancho Viejo Middle School, received the January Governing Board Award. Kindergarten Registration is Now Open! Kindergarten registration and the priority transfer request window opened on January 2nd for the 2018-2019 school year. Greg Giroux was promoted to Principal of Bautista Creek Elementary School. Hamilton K-8, Hamilton High, and Idyllwild School will start two-hours later on Friday, December 8th, due to power outages. Join us on Wednesday, December 13th from 4:30-5:00 p.m. for the opening of the District Closet, which provides new and gently used clothing to our families in need. HUSD Governing Board participated in a Board workshop to better understand the work being done throughout the district. The Hemet community came together to donate nearly 200 Thanksgiving turkeys, and in some cases meals, to HUSD students and their families! HHJCPHS staff created Project Days, which gave students the opportunity to catch up on all of their work. Valle Vista staff, students, and their family worked together to create new games on the blacktop for students. Staff members held its annual Mock Interview contest for students to help prepare them for entering into the job market. Little Lake Elementary School welcomes Robert Broecker as its new Principal. Schools throughout the District hosted various events and workshops to get students in the college mindset. Hemet Unified School District Career Technical Education (CTE) program is looking to develop a new logo and we need your creativity. 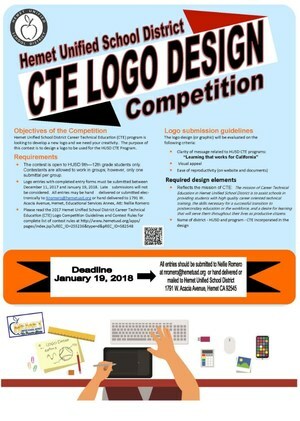 The purpose of this contest is to design a logo to be used for the HUSD CTE Program. Learn more about the competition, by clicking on the "Read full story" tab. 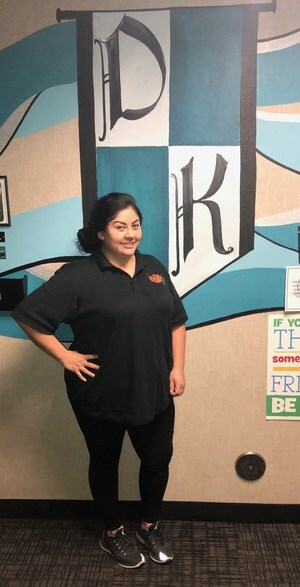 A staff member began a new initiative to help feed students in need when they are not at school. Staff and students at Rancho Viejo held a BBQ for local Veterans to honor and thank them for their service. Dartmouth families were invited to the 2nd annual Escape Night, this year with a Star Wars theme! A West Valley student was named a Semper Fidelis All American Athlete by the United States Marines. *The district is not responsible for the content of external web sites.